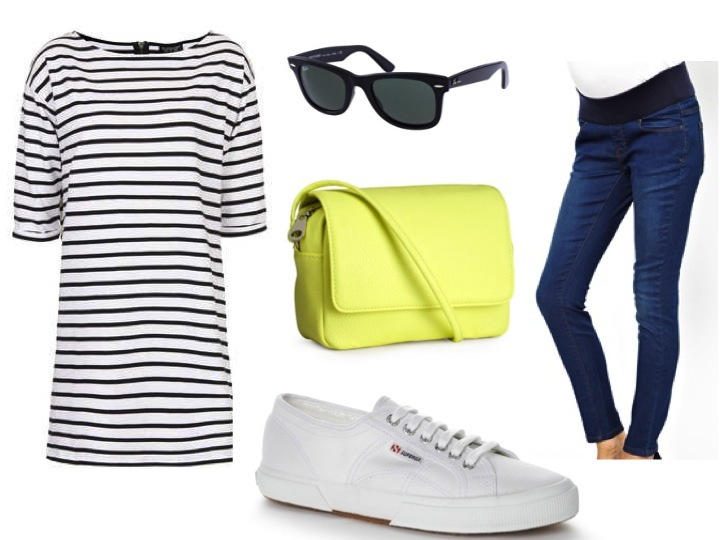 I recently had a request to do a post on preggie style and ideas. There couldn’t be a more fitting time to do it as SO many of my friends are currently pregnant I wouldn’t even be able to count them all on both hands. Its such an exciting time but for those fashion lovers out there it can be quite frustrating not being able to wear some of your favourite items and styles. When I was pregnant I refused to buy any maternity clothes as I thought it would be a waste of money so I bought normal clothes but just either bought floaty styles or very stretchy fabrics and a size up as the months went by. That is not to say you shouldn’t buy any as there are some great choices out there. I found that buying actual maternity clothes (which have specially designed bump areas) would not work well on the shape once the baby is out, whereas a normal blouse would still be loose fitting but it could definitely be worn again, as we dont all loose our weight instantly and its quite nice to wear looser clothing for a while after the baby is born, unless you are one of those fortunate Kate Moss types of course! This blue stretch dress might start out a little looser but as time goes by it will become more fitted and will show off the bump beautifully! Style it up with a statement necklace and some cute and importantly comfortable shoes. I have a pair of these Victoria Plimsolls and intend on purchasing another pair this spring as I lived in mine last year! For a more formal look these wrap dresses are so great and the gathering is so flattering down the side too. Keep your look on trend with these gorgeous block heels! I also spent more on bags and accessories as I figured I wasn’t buying much else or what I was buying was extremely low priced. But bags, shoes and accessories are investment pieces. 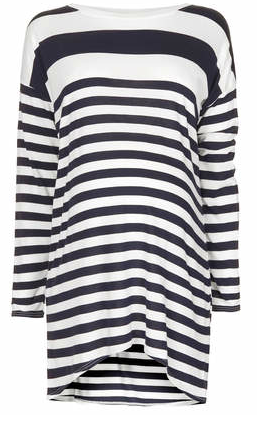 This striped Tunic is so lovely and loose fitted, wear with skinny jeans, tights or as a dress in warmer weather. Buy in a bigger size as its not from the maternity section, but if you want the style in maternity then further below you will find the maternity alternative. Brighten up with a summery yellow bag. There’s nothing better than a light weight cross body bag to sling across, leaving you feeling lighter!